LEAP (Learn, Exchange, Apply, Practice) is a 2 year project designed for contemporary dance teachers in Europe to exchange and discuss relevant practices in their teaching methodologies. The project’s goal is to widen the range of teaching methods, approaches and target groups for dance teachers by examining existing teaching practices. The project is specialized in contemporary dance education and builds on a previous EU project called IDOCDE (International Documentation of Contemporary Dance Education). The goal of IDOCDE was to explore documentation to exchange practices in European Dance Education. LEAP uses the IDOCDE website to communicate the LEAP process and to share results with project partners and the public. a) LEAP Teaching Residency – A research of good practices in contemporary dance education. b) LEAP Local Meetings – Community outreach, a platform that invites colleagues for exchange and discussion. c) LEAP TAB- Teaching Across Borders – Invitations for teaching workshops at the partner institutions. d) LEAP - IDOCDE Symposium - An international platform of exchange amongst teachers of contemporary dance. The purpose of the Teaching Residency is the research of good practices in contemporary dance education. 3 teams of teachers from 2-3 partner institutions are working together during the 2 year project. The teams meet twice for one week within the project time and build a shared research strategy to work together according to a chosen theme. The results of the TR’s can be followed on the IDOCDE website. It is a community outreach - a platform that invites colleagues for exchange, discussion and sharing the practice of dance teaching. There are 4 meetings in 2 years, hosted by the local partner organization in collaboration with a local teacher (facilitator). The LEAP meetings are open to all local dance educators and are centred each time around a specific topic chosen by the facilitator. Invitation of teachers to teach workshops at the LEAP Partner Institutions. The purpose of this activity is to increase networks for both teachers and organizations and to give teachers new teaching experiences in other countries and institutions. Additionally to the teaching there will be interviews with the visiting teachers and the documentation of the workshop will be available on the IDOCDE website. The Symposium is dedicated to exchange among teachers, sharing results of TABs, developing and reflecting on teaching contemporary dance and also to increasing face to face connections for a lively website interaction during the project duration. 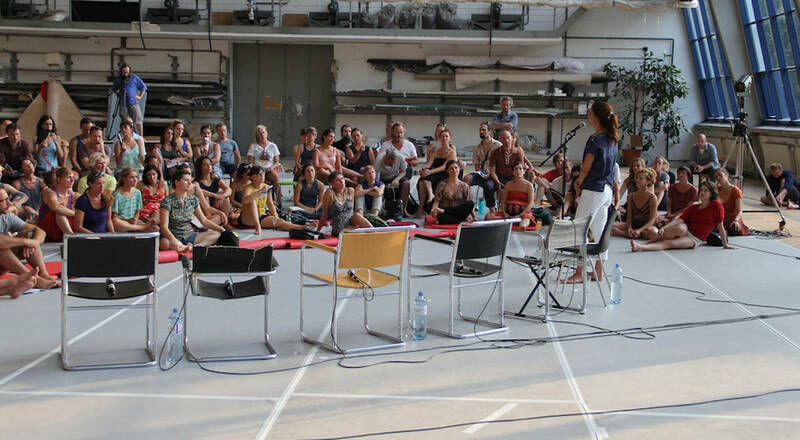 The yearly Symposium will take place during the ImPulsTanz Vienna International Dance Festival. The Symposium is open for Contemporary dance teachers, educators, scholars, researchers, including IDOCDE registered teachers. Documentation of the Symposium programs will be placed on the IDOCE website. LEAP project is financed by the Lifelong Learning program by the European Union under the project title “LEAP- Learn, Exchange, Apply, Practice: Relevant practices in dance education in Europe“.